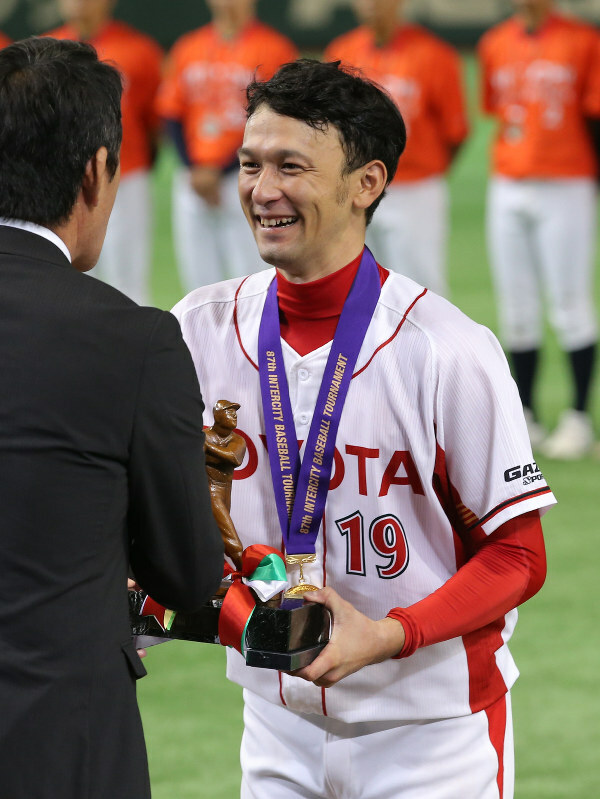 In their 18th entry in the past 87 contests, TOYOTA MOTOR claimed title by defeating HITACHI 4-0 at Tokyo Dome on July 26, 2016. Katsutoshi Satake (ex. Waseda Univ.) who pitched 30 innings in the Tournament with 4 wins allowing only one run was awarded Most Valuable Player. The 87th edition of Intercity Baseball Tournament was held for 15 days from July 15, 2016 with 32 teams.